A black and white photo of U.S. Senator George McGovern from South Dakota and Kansas Governor Robert Docking at the Democratic National Convention in Chicago, Illinois. 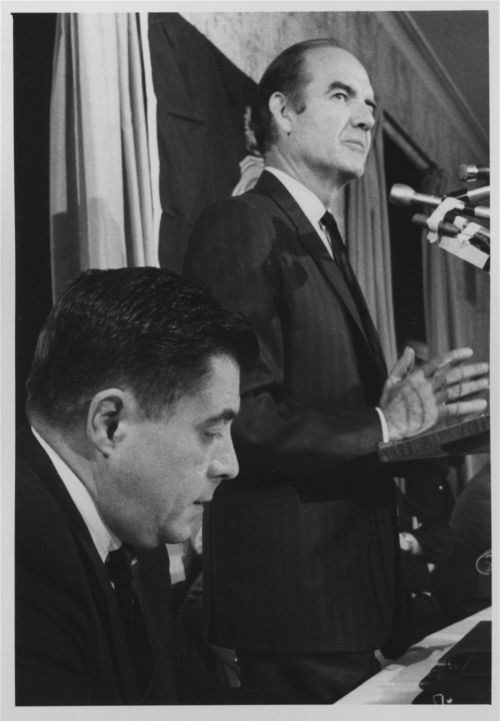 At the convention, McGovern was campaigning to win the Democratic nomination for the U.S. Presidency but was unable to secure the required number of delegates and eventually lost to Vice-President Hubert Humphrey.